Yellow gold engagement rings possess a classically alluring quality that has made them a popular choice with many brides. The selection available here at Diamond Boutique are all 18 carat, ensuring the wearer of high-quality and elegance. Explore the luxurious jewellery below and discover a colour wheel of clarity containing rubies, sapphires and diamonds. Due to a beautiful warmth, yellow gold suits both light and dark gemstones, making it the perfect option for lasting style. 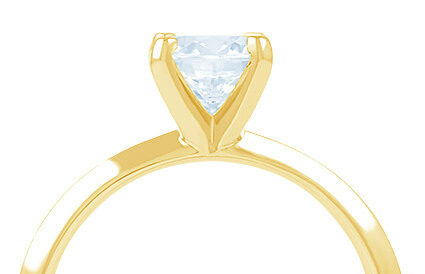 Fancy creating your own unique yellow gold engagement ring? We offer a custom design service for a truly unique proposal. Contact us on +44 (0) 203 6959 885 for more details.